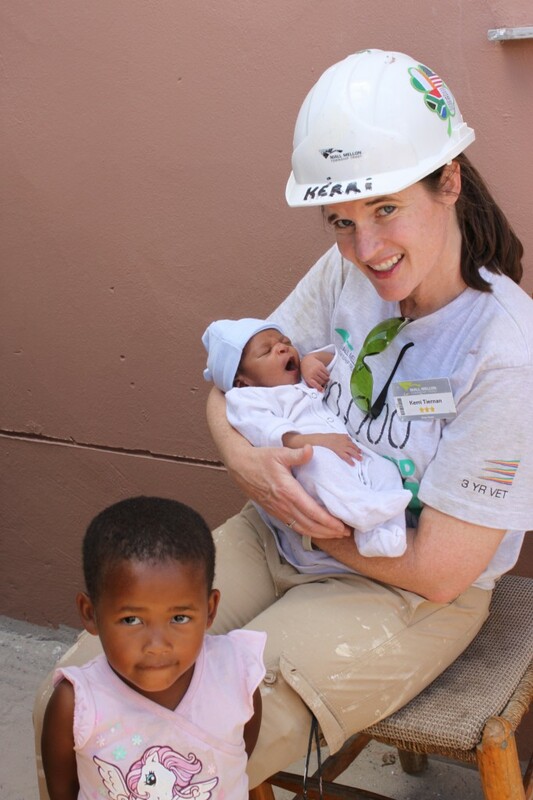 When Denver resident Kerri Tiernan picked up a copy of the Celtic Connection June, 2008, and read a story about the Niall Mellon Township Trust (NMTT), she had no idea how it would change so many lives, including hers. 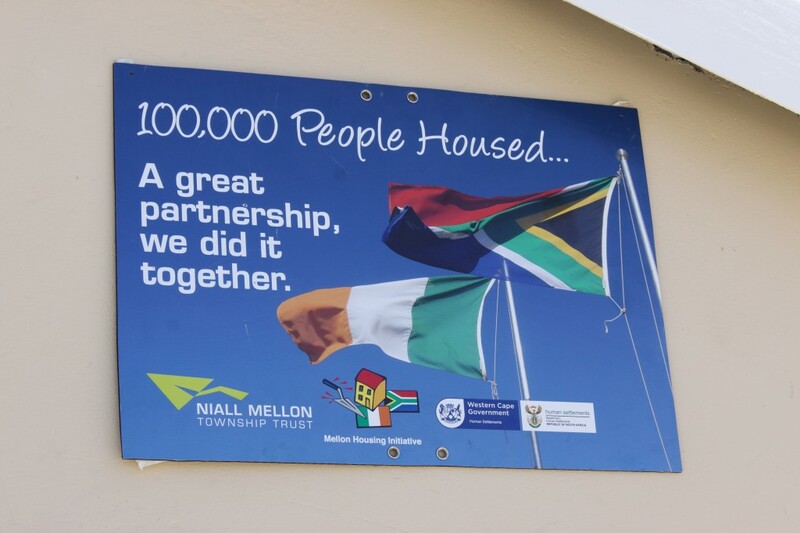 The NMTT story began in 2002, when Irish Developer Niall Mellon began replacing the unhealthy substandard shacks lived in by impoverished families in the townships of South Africa with clean modern homes. Since then, Mellon’s charity has taught hundreds of township youth construction skills, and has recruited hundreds more volunteers to travel to South Africa for an annual “Building Blitz.” They have celebrated over 20,000 homes being built, which equates to 100,000 people now in new homes, and just finished building a school in Kenya in November. Before volunteers are clear to join NMTT, they must raise between five and six thousand dollars. About $2,000 goes to logistical costs including flights, hotels, ground transportation, medical insurance, meals, construction kit, etc. and remaining goes to the building project. 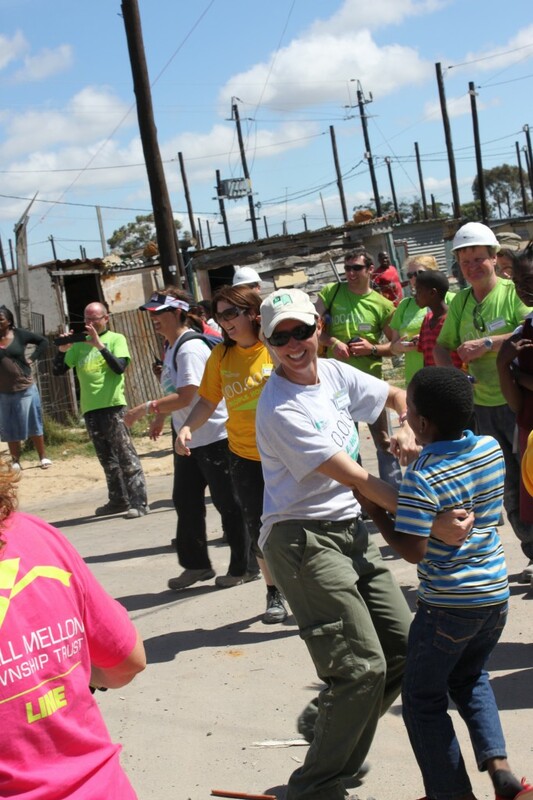 Upon arrival to South Africa, the volunteers meet up with their assigned teams made up of a veteran construction forman and trades, project leader, and other volunteers. 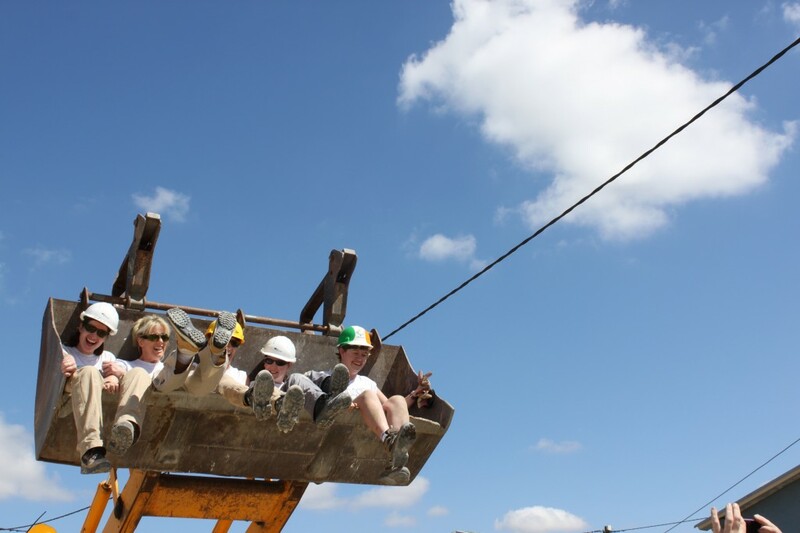 Volunteers are trained in construction skills to help them build a house over the next 7 days. During the course of the week teams eat breakfast at 6AM, board a bus at 7AM, and are onsite working from 8AM to 5PM. Kerri was moved by the NMTT story that she read in 2008 and began making enquires to Ireland for details. By July of 2010, Kerri had inspired 3 more friends (Kathy McGee, Trish Nathan, Heidi Weidemueller) to commit to also volunteer and raise the needed funds for the project. 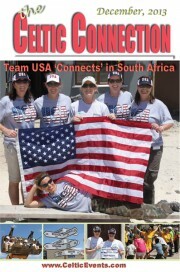 In November of that same year the Colorado quartet became the first volunteer group from the States to go to South Africa for the Building Blitz. 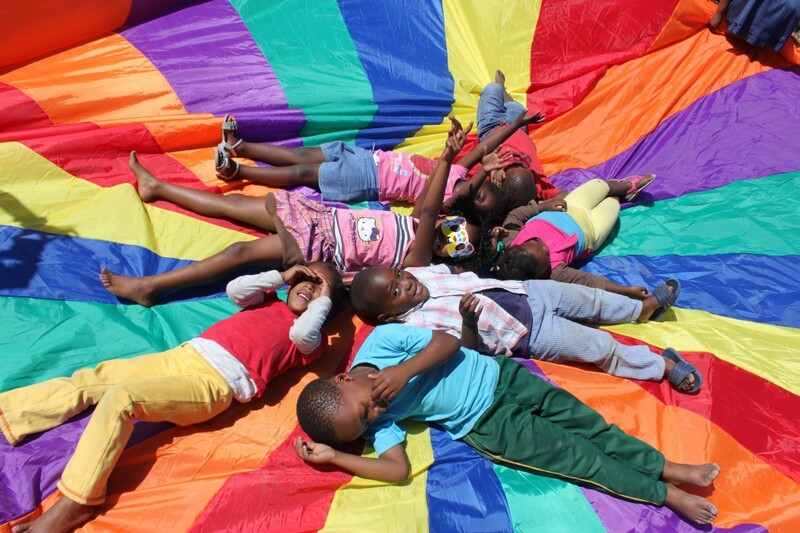 “Besides all of that, I would have to say the biggest benefit to me as I continue to go back to Africa with this charity is that actual ‘Celtic Connection’ that it has given to me. I have made many friendships with my fellow Irish volunteers and the NMTT staff in Dublin that I know I will have for a lifetime. I wanted to thank the paper for that! Because of the article that was written in your paper over 5 years ago, I can truly say…In me, you have made a solid “Celtic Connection”. Irish Network USA board members Thomas Burke and Maura Clare recently represented the IN Colorado chapter at a national board meeting in Washington, DC. The IN USA is a newly incorporated umbrella organization for the Irish Networks that exist around the country. The national entity aims to advance relationships between Irish Network state and regional chapters to foster success in business, economic and social ventures. by Sam Westmoreland — It’s been a busy month for the Denver Gaels, and things aren’t looking to slow down in December. November was headlined by the club’s Annual General Meeting, which featured plenty of changes for the club. First among them, the Gaels welcomed a brand new board. However, board members weren’t the only news from the meeting; the club is also pleased to unveil a new logo, which will be featured across the club’s website, Facebook page, Twitter feed, and all major club releases. The slick new design comes courtesy of member Adam Kiefert. New Irish Consul General and Vice Consul Appointed to Rocky Mountains and Western U.S.
Caption: Left to right: new Consul General of Ireland for the Western US, Philip Grant; Irish Minister for Transport, Tourism and Sport, Leo Varadkar; Niall Gibbons, CEO of Tourism Ireland. This picture was taken at the United Irish Cultural Center in San Francisco at an event celebrating the re-opening of the direct Aer Lingus route between San Francisco and Dublin in April, 2014. Consul General Philip Grant assumed duty as Consul General of Ireland to the Western United States, in San Francisco, on 30 September 2013. From Dublin, Philip has been a diplomat with the Irish Foreign Ministry since 1992. Prior to his appointment as Consul General, he was Spokesperson and Director for Press and Media Relations in the Foreign Ministry for four years. He worked on the visits of Queen Elizabeth and President Obama to Ireland, the Global Irish Economic Forum and Ireland’s EU Presidency. He was previously posted to the United States in 1994-1997, when he served as Vice-Consul at the Consulate in Chicago covering the mid-west and southern United States. From 2006-2009 he was Deputy Head of Mission at Ireland’s Embassy to Turkey in Ankara; and from 2002-2006 he was based in Israel, as Deputy Head of Mission at the Irish Embassy in Tel Aviv. Consul General Grant has also served in the Middle East and Anglo-Irish Sections of the Irish Foreign Ministry in Dublin, and at Ireland’s Mission to the Council of Europe and the European Court of Human Rights in Strasbourg, France. He is a Science graduate of Trinity College in Dublin. Philip will be aided in his work at the Consulate by new Vice Consul, Kevin Byrne. Kevin, a native of Dundalk in County Louth, is a graduate of Trinity College Dublin and the London School of Economics. A Naughton scholar, he has worked internationally for national government, the European Union and in the think tank sector. He joined the Department of Foreign Affairs in 2010. Most recently he was seconded to the Department of the Taoiseach to plan Ireland’s successful 7th Presidency of the EU. I lived for over a decade just outside of the small southern New England town of Narragansett. The town was named after the Algonquian Native American tribe that had inhabited that area when the colonists first settled there. The town is at the mouth of Narragansett Bay with a beautiful setting on the ocean and smooth white sand beaches. A great place to surf and generally frolic in the ocean. Across the bay is the more famous Newport, Rhode Island. But in the 1920s and 30s, Narragansett rivaled Newport as the mansion capital and home to the rich and famous. Many spectacular mansions dotted the shoreline north and south of Narragansett. It was the heyday of the “Gatsby” era and life was lived large and rich. Sadly, most of those mansions have disappeared. Hurricanes, fires, age and demolition have taken their toll. But the legacy exists up to the present and the few great mansions that are left keep those distant memories alive. And those memories are also kept alive in the minds of those who lived that life and the connections that continue to the present. And this is where my story really begins. I was traveling in the west of Ireland in the Connemara Gaeltacht area of County Galway. I had settled into a B&B set just back from the ocean on a small country road with stone walls bordering each side and blooming fuchsia hanging profusely over the tops. It was a beautiful area and reminded me a bit of my home in southern New England. After dinner, I decided to take a walk down the lane and do a little exploring. Maybe find a pub with some music or just wander and soak it all up. There was still plenty of daylight so time wasn’t a factor. As I poked along I passed several dairy farms and was greeted warmly by the few locals I passed. Mostly farmers finishing up with chores. As I passed the gate leading to one farm a Border collie came out to give me an obligatory bark. I own Border collies so I recognized the “hello” nature of the bark. Just then a soft, tiny voice said “Don’t worry, he won’t bite”. There stood, just behind the low fence, a women well into her 90s with the sweetest smile and flood of totally white hair a bit out of kilter. The dog was immediately by her side and calm. I liked this woman at once and knew I wanted to talk with her. I greeted her with a “hello” and mentioned that I had a couple of Border collies back home. We formed the “Border collie bond” and talked the pros (too smart) and cons (too smart) of the wonderful breed. The conversation opened up from there and she asked me where I was from. I told her the states, with no more particulars. I noticed a somewhat sad, distant look come over her face. She then explained that she had lived in the states for several years but had to return to Ireland because of a sudden death in the family. She said that her time in the states was the most enjoyable time of her life and she wished she could have returned but it never happened. Continuing the conversation I asked where she had lived in America and what she had done. “Narragansett, Rhode Island” was her immediate reply. Yes, you could have knocked me over with a feather. “I live in Narragansett!” I replied. Tears welled in her eyes. It was like she was seeing a ghost and I suppose in her mind I was. I didn’t have to wait for her story. She had left Ireland in her late teens with a great excitement of living in America and escaping the poverty of rural Ireland in the 1920s. An aunt living in America had arranged a job as a maid in one of the Narragansett mansions. She loved the job and the people she worked with. The ocean reminded her of the best part of the Ireland she had left behind. She had met a young man (also from Ireland) and they had hoped to get married. Meanwhile, I felt like I was talking to the woman in the “Titanic movie” who created and communicated a vision of the past from her memory. She escorted me into a time and life I knew a little bit about but not the personal details. And what a wonderful “movie” she narrated. She told me about the splendid mansions and the incredibly extravagant parties, the amazing food and spirits, the music and the flapper dancing of the 20s. She told me of walks on the beach at Narragansett Pier with her beau and their dreams of a life in America. Tears trickled from her eyes as she talked. I believe the tears were part pleasure to remember the past and part sadness at the loss of her dreams. I was there to listen. I now would know and think of Narragansett in a very different way. Eventually her story slowly came to an end and I knew it was time for me to head back to my B&B. Over an hour had passed and I had been transported to another time and another life. How wonderful was that. She opened the gate to hug and say goodbye and of course I gave the Border collie some well – deserved attention. What a wonderful and tender evening it had been. And another magical serendipitous moment in Ireland. Jim Remington is a teacher and director at the Lakewood School of Music in Lakewood, CO. and lives with his wife, 2 horses and 2 dogs in the Wet Mountain Valley near Westcliffe, CO. Jim can be reached at: remingtonlj@gmail.com.